If you're currently paying a commission per order, then you're paying an arm and a leg. If you're paying more than $20/month, then you're probably paying at least an arm. Netbistros' Online Ordering was designed to work on the most popular devices and screen sizes. 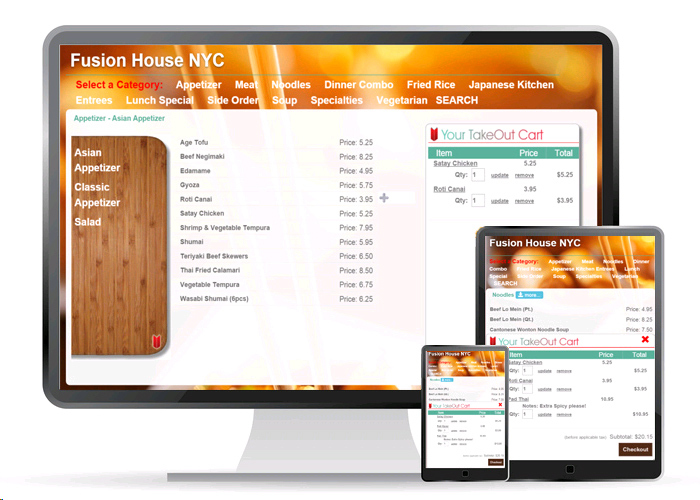 Netbistros delivers your Online Ordering Menu neatly to your customers' various devices whether it be their home computer, tablet or mobile device. Your customers will always be able to easily submit an order anytime and from anywhere. 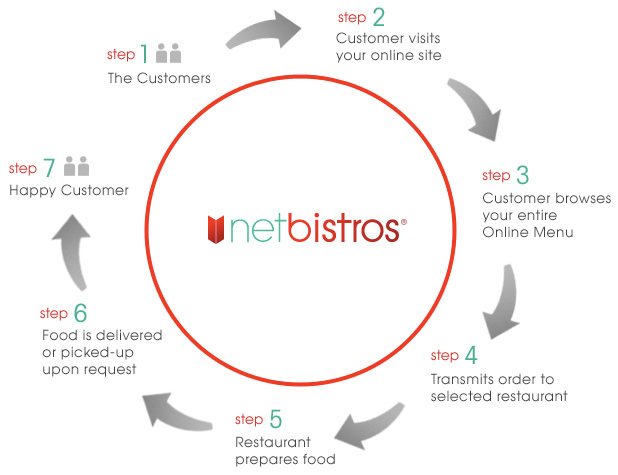 Netbistros makes the ordering transaction process simple for your customers and, equally as important, your restaurant staff. Online Ordering is not rocket science and our processes don't make it seem that way, either. Netbistros understands that operating a restaurant is hard work with narrow margins so we've structured our systems and pricing with these conditions in mind.